"Underworld" can refer to many different facets of this book, such as the labyrinthine subways that wind beneath New York City, or the underground art scenes frequented by Klara and her friends. But it also alludes to the "underworld" that lives within each of us, the fusing of our memories, emotions, and personal histories that make us who we are. Do you agree with the prison psychiatrist who tells young Nick Shay that "we all have a history we are responsible to?" Discuss other "underworld" themes in the book. 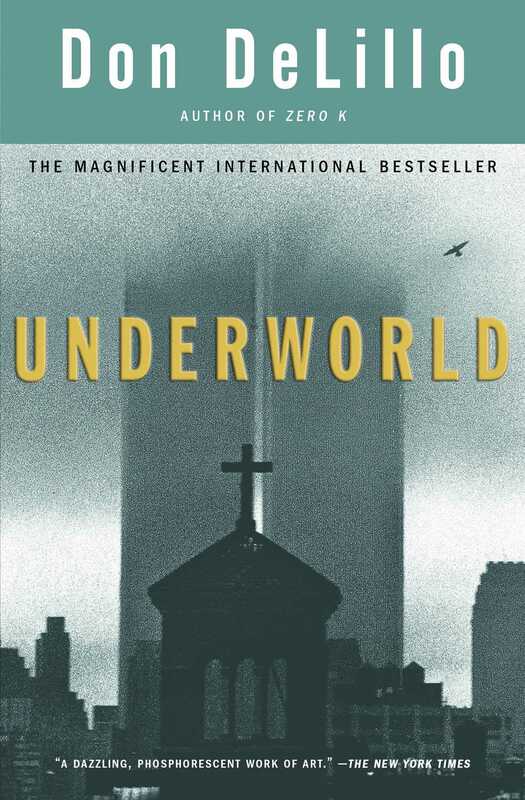 As Underworld's cover photo represents, there are many "twin forces" explored in this book. Identify these themes of duality and discuss how they're rendered by DeLillo. Few books boast a more brilliantly conceived Prologue than Underworld. Discuss your opinions of it: its construction, its language, its use of real-life in a tale of fiction. Why is the Prologue titled "The Triumph of Death?" How does its gritty, "you're-in-the-ballpark" tone compare to the tone of the first chapter? Do you think the Prologue could stand alone as a short story? One of the most striking aspects of Underworld's narrative is its sprawling, nonlinear structure. By the end of the novel, we have gone full-circle; we start at the baseball game in 1951, fast-forward to the 1990s, and then work our way back to 1951 again. Why do you think DeLillo chose to structure his book this way? Is he saying that while we mark time in a linear fashion, time itself-and our memories-are not linear at all? What does this say about the interconnectedness of the present and the past? In what other ways does this story and its writing come full-circle? Klara Sax says "many things are anchored to the balance of power...."(76) Do you agree that, without the Cold War, this balance is gone? Is there chaos because we don't have an element of danger hanging over our heads? Is life better or safer now that the Cold War is over? Or do we simply have new enemies? Bobby Thomson's game-winning ball serves as the string that links Underworld's numerous characters, subplots, and themes. Is the ball a symbol of achievement or failure? Or, does that assessment depend simply upon who is holding it? Who do you think should have ended up owning the ball? To whom did it mean the most, and why? When Cotter realizes that he will go home with the game-winning baseball, he feels like an important part of history. But does he truly realize the significance of the game he just witnessed? How often are we actually aware that we are witnessing history-in-the-making? What is it about a moment in time, or an event, that makes it obvious that it will go down in history? Do you agree with Marvin Lundy when he states that "reality doesn't happen until you analyze the dots?" (182) What is more reliable: our own personal perception of an event as it happens, or our memories of it years later, after we have had time to think about it, process it, and be influenced by other's opinions and recollections? How have video cameras changed our lives? Do mundane moments become elevated simply because they are caught on tape? Does the repeated viewing of an event (such as the Rodney King beating) make it more horrifying than it would be if only imagined? Or does seeing it over and over in some way make it less terrible? Discuss how the public surfacing of the Zapruder film in the 1970s changed the way Americans considered the Kennedy assassination. How does this compare with other historical moments (such as the Giants/Dodgers game of 1951) that were not filmed? Which is more powerful, and why? Our country's largest man-made monument is the Fresh Kills garbage dump on Staten Island. Explore the irony that we, as a nation, have so much garbage that we have specialists like Nick Shay devoted to studying it. Why did Nick choose to enter such an unappealing field? At one point, he says that his choice of careers came at a point in his life when he was looking for a "faith to embrace." (282) Is his , "faith" 20th century American over-consumption? Discuss Lenny Bruce's philosophies about life and our government, as expressed in his comedy routines. How did his routines change as the Cuban Missile Crisis ran its course? Do you think he was an alarmist, or was he playing up his fears to be funny? Do you think his rants accurately reflect the nation's feelings? How did his different audiences react to his performances? Discuss the notion of art versus garbage, as explored in Underworld. How fine is the line between the two? if Klara turns everyday junk into art, can it be argued that the two are one and the same? Are painted planes in the middle of a desert really art? Is the Earth's landscape an appropriate background for art? Or is it perhaps more appropriate than any other? What do you think of the "garbologists" who collect Hoover's trash? Does putting it on display make it art? In regard to Truman Capote's infamous Black and White Ball, DeLillo writes that "the factoidal data generated by the guests would surely bridge the narrowing gap between journalism and fiction." The blending of fact and fiction is a main element of Underworld, and it's precisely what Capote did with In Cold Blood, the first book to present true crime in a novel form. Do you think there should be a thicker line between fact and fiction? Under what circumstances do they become one and the same? Discuss the unique way DeLillo writes dialogue. How do you feel about the way his characters often talk "over" each other? Is this a realistic rendering of the way we communicate? What do you think of the way his characters often let topics of conversation drop off, only to suddenly pick up where they left off at a later time? Does their ability to do this attest to the strong connections they have with one another? In one memorable scene in the book, Marian recounts how she abandoned the trouble-making family dog, and then told her children that he ran away. Later, as she drove the children around "looking" for the dog, she almost came to believe the story she'd made up. Have you ever convinced yourself that a lie you told is true simply because you told it so many times? How often do You think this kind of "revisionist history" occurs in our daily lives? Within our government? Discuss other "secret manipulations of history" (495) explored in Underworld. 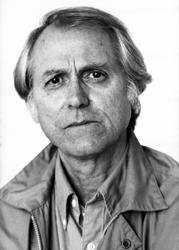 DeLillo is a highly expressive writer, penning characterizations that stick in the reader's mind. For example, he describes Jack Marshall as a man "on the perennial edge of dropping dead. You know these guys. They smoke and drink heavily and never sleep and have bad tickers and cough up storms of phlegm and the thrill of knowing them is guessing when they'll pitch into their soup." (391) Pick one of your favorite characterizations and discuss.